The RBI data, accessed through RTI queries by DNA Money, reveals that private banks have written off 28% of their gross bad loans as compared to 14% of public sectors banks since 2009-10. The common refrain is that the state-owned banks are stodgy and slow-paced under the swelling burden of the bad loans. In contrast, their counterparts in the private sector look unblemished and display a cleaner balance-sheet. But a study by DNA Money based on responses from the Reserve Bank of India (RBI) on RTI queries tells a completely different story: private banks have failed miserably in maintaining the basic parameters of efficiency such as write-off and recovery. They have in fact written off more portions of the toxic loans in their books than their peers in the public sector. Data available from fiscal 2009-10 reveals that top private banks have managed to put up a neat façade by “cleaning up” their mess every year. Top private banks may have a lesser amount in absolute write-off due to their market size in comparison to the public sector banks, but it is now revealed that they are hurriedly cleaning up their balance-sheets, in order to help them enhance their lending and avail tax incentives. Obviously, the steep write-off ratio by private banks as well as their recovery rate that is on par with public sector banks have put them in a tight spot when it comes to a debate on the overall efficiency in the banking industry. Top ten private banks, including ICICI Bank, Axis Bank and HDFC Bank, have written off 28% of their gross bad loans in the last eight years and nine months (starting FY2010 up to December 2017). During the same period, top ten government banks, including State Bank of India (SBI), Punjab National Bank (PNB) and Bank of Baroda, have written off only 14% of the bad loan. According to RBI data, HDFC Bank has written off almost 50% of their gross NPAs while IndusInd Bank has 41%, followed by Axis Bank (34%) and City Union Bank (29%) during the period beginning FY2010. Among other private banks, ICICI Bank wrote off 23% followed by RBL Bank (21%) and YES Bank (19%). 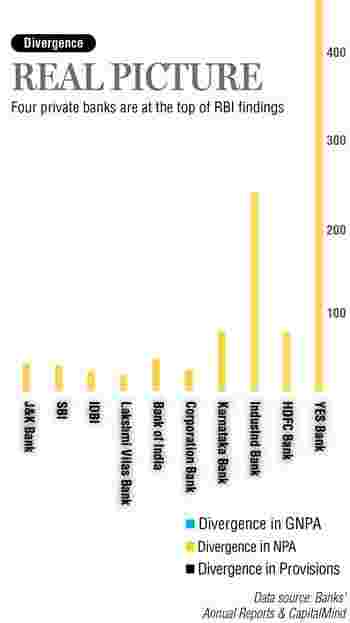 The government banks hold two-thirds of the banking business in India. The small size of private banks reflects in the absolute write-off amount. Top ten private banks have written off a total of Rs 68, 675 crore against Rs 2.77 lakh crore of the top ten state-owned banks. The biggest public sector bank, SBI has written off 18% of its bad loans during the period beginning FY2010. Canara Bank has written off 16% of its bad loans followed by PNB with 15% during the same period. Among the leading public banks, Bank of India has written off 14% of its bad loans followed by IDBI Bank with 14% and Indian Overseas Bank, 13%, respectively. Barring two banks, Federal Bank and Bank of Baroda, all other banks mentioned in this article did not respond to a detailed questionnaire sent to them on e-mails and text messages. Private banks have recovered a total of Rs 47,868 crore, making it around 69% of the write-off amount during the past eight years and nine months. Public sector banks have also managed to recover at a similar rate — about 68% of their write-off amount that amounts to Rs 1,89,605 crore since FY2010. Data, however, shows that private banks’ recovery rate dropped below that of public sector banks post 2012 fiscal. Among private banks, Federal Bank has shown the highest recovery rate of 154%, followed by RBL (153% of total write-off), South Indian Bank (140%) and Kotak Mahindra Bank (107%), respectively. In FY2018, YES Bank had shown a massive 385% jump thanks to Rs 3,141 crore recovery against Rs 470 crore write-off. The second biggest private bank, ICICI Bank, has been able to recover 60% (Rs 18,196 crore) of its write-off followed by HDFC Bank with 56% (Rs 8,653 crore), and Axis Bank, 47% (Rs 8,441 crore). Banks always claim that the write-off does not mean a waiver. They claim that it is a technical write-off which entails 100% provisioning beforehand and trims the balance-sheet. 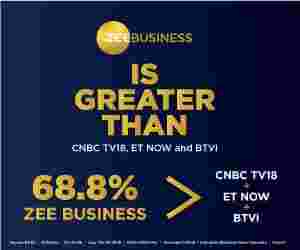 Ashutosh Khajuria, executive director and CFO, Federal Bank, told DNA Money, “The resolution process continues in most of these cases, including the legal action and recovery proceedings. The recovery post ‘technical write-off’ is credited to the profit & loss (P&L) account, subject to an equal tax payment. The process helps in removing the dead assets from the balance-sheet so that it does not appear inflated unnecessarily with a dump of unproductive assets, after being duly (100%) provided for as a charge to the profits. Our bank periodically reviews such accounts closely and decides on this action”. Ideally, banks recognise their lousy loans and put some money aside against the risk of a default. A bank declares such loan accounts as sub-standard and keeps 15% of the defaulted amount as provision if the default period is three to six months. This provision amount increases with the default period. For six to twelve months, this amount rises to 25%. Similarly, for one to three years, the amount will be 40% of the default amount. If that account has defaulted for more than three years, the bank provides for 100%. To reduce the bad loan risk, the Reserve Bank of India (RBI) came out with a guideline of Provision Coverage Ratio (PCR) in 2015. According to the PCR guidelines, banks have to maintain at least 75% of the provision amount, but most banks fail to keep this minimum criteria. Now, banks have begun to manipulate the financial numbers to show less bad loan in order to keep a low provision in the books. To show their book cleaner, banks are tweaking their numbers. Are private banks hiding something? Divergence is a dirty word for bankers. Banks don’t want to recognise some loan accounts as non-performing assets (NPAs), but RBI says they have to recognise it. RBI has noticed that many banks are hiding bad loans and provisioning amounts to make their balance-sheets look smart and clean. The central bank’s re-audit has thrown up several anomalies and window-dressing in gross and net NPAs, and provisioning. Some banks have been dishonest to customers and investors while revealing their financial numbers. RBI has caught some of them red-handed while re-auditing their financial results. The re-audit findings, known as divergence, have to be disclosed by respective banks in their annual statements. In FY 2018, 23 banks have declared their divergence numbers. These banks managed to hide 17% (Rs 81,856 crore) of 17% (Rs 81,856 crore) of gross NPAs, 21% net NPAs (Rs 54,640 crore) and 13% (Rs 28,060 crore) of provisioning amount. Four private banks, YES Bank, HDFC Bank, IndusInd Bank and Karnataka Bank top the RBI's divergence list. Public sector banks are claiming to strengthen their recovery mechanism. Sameer Narang, chief economist, Bank of Baroda, said, "We try to recover dues from the defaulted borrowers through all the available recovery mechanisms like a regular follow-up, Sarfaesi Action, legal recourse, Lok Adalat, Compromise Settlement, etc. and write-off is the last resort after exhausting all recovery measures." Write-offs are "good" for the bank in the sense that they reduce NPAs but also reduce banks' profit, says Deepak Shenoy, founder and CEO, Capital Mind, a financial analytics company. Banks effectively take the loss where it is not recoverable. "They are in fact hoping that they can recover it but eventually realise that they can't," he adds.